Mixed salads, olives, yellow beets, lemon, E.V.O.O. Excellent service and great location. Main dish was smallish, only 3 shrimp for fettuccini with shrimp and pricy for the size. Excellent Negroni cocktail. Bread tray was paltry- only 2 small pieces. Lacks atmosphere. Rode the elevator down to the men's room with a full cart of dirty dishes. 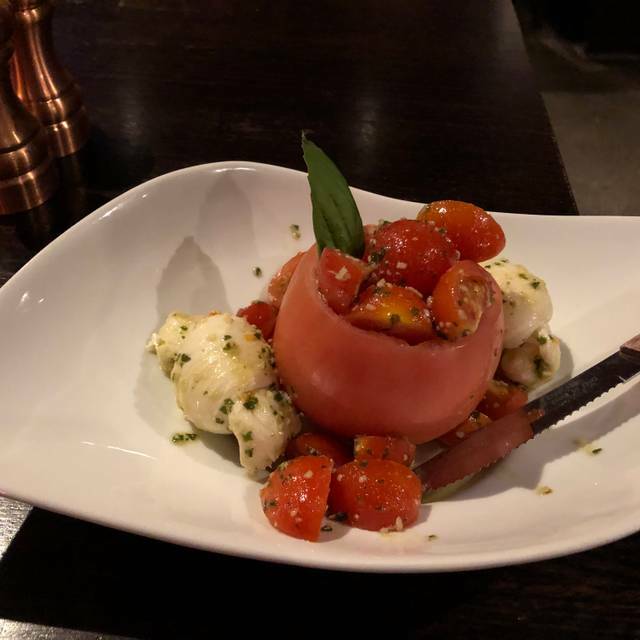 Wonderful authentic Italian food (just back from a trip to Florence so the food was familiar and comforting) and attentive and high quality service. The only odd thing was how empty the restaurant was on a weekday for lunch. No pizza! At 6:30 on a Friday evening when I ordered pizza the server said “oh, we don’t have any. 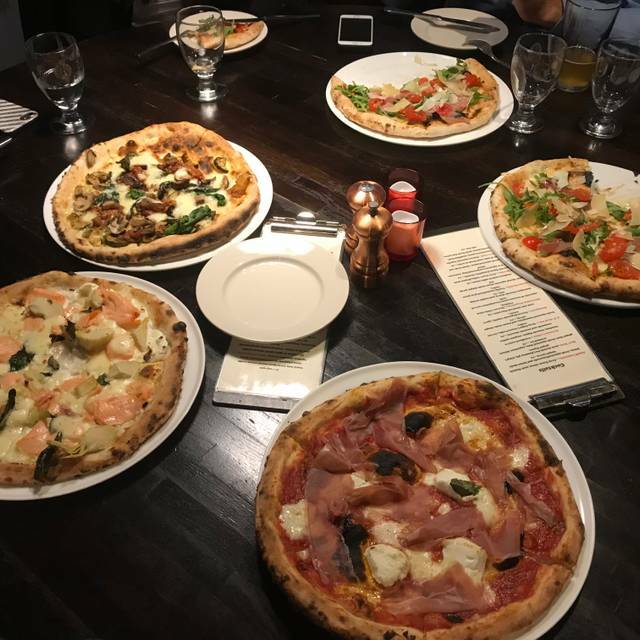 There is no more dough and it takes time to make it.” Really.....this place has a two page menu....one is pizzas based on their specialty oven and no mention of a problem until we were seated and went to order. He had chicken parm and enjoyed it. I took spaghetti vongole ... I was already disappointed I couldn’t have pizza so I may have had a bit of attitude but 6 clams and no asteroid of clam, fish or sea in the red sauce. I had asked for fra Diablo style it wasn’t a bit spicy. I found the spaghetti too chewy for my taste. Overall, it is just ok compared to other choices in the area. Happened on this place by accident. If you are looking for reasonably priced good Italian and you are not in the north end you can’t do better. In fact, hands down this is the best pizza in Boston. Decent wine list and very good pasta. Arugula salad with blueberry vinaigrette. Yum. Service was great. Ambiance is casual. This is not a business meal place. More like a great spot to meet up with friends and enjoy a very authentic Italian meal. Don’t skip the pizza. Really. Yummy. I don’t have words to describe how terrible this experience was. We had a reservation for eight, which we showed up on time for. We had 7 chairs at out table. We were ignored for over 20 minutes until we asked the hostess to send our waitress over. We then placed our drink and dinner order. Over 25 minutes later we still had gotten neither. At that point we left and went to the bar across the street where we saw many other people who had tried to eat at Mast. I’m not sure what the staff was doing all night since it was certainly not serving food or drinks, and it was apparently the manager’s fault - according to the hostess. I will never go back, and I really hope someone who actually knows how to run a restaurant takes over this space after Mast closes! My family and I had a good experience here. The food was good, we liked the atmosphere. The service was flaky. Our waiter disappeared for long periods then totally disappeared. My son's pizza came and he ate it (and loved it) and the rest of our food did not. We asked where our waiter went, and apparently, a large party had arrived on the floor below. They apologized profusely, 4 staff arrived within minutes with the rest of our meal, and comp'd a dessert for our son, who had finished while we began eating. But it was weird, just badly organized. if we had been told the pizza would arrive 20 mins before the rest of the food we might have been ok with it but the lack of communication and the waiter going awol in favor of a larger party was very odd. The food was great, lots of flavors and cooked well, we all had a good meal. The cocktails we had were ok, but not sophisticated for a place priding itself on drinks. yes, we would go back for at least another try. Our waitress (Donna) was very friendly, knew the menu, and was helpful. The lamb chops were tender and flavorful. The steak and pasta dishes were delicious as well. Highly recommend going into the city to visit "Mast"
The food was very bland and it was understaffed (waitress also was a bartender). The pizza was soupy with a hair in it. They were understaffed for a Saturday night. Their check in system was non-existent. Hostess was impersonal. Not enough waitstaff so we waited to order, waited 45 min for food to arrive. Water glasses were never refilled. We had to get our food to go to make our concert. Made a reservation for dinner before a show at the Orpheum. We were seated promptly and greeted by our server. Appetizer followed by our food. Everything was served quickly. Food was tasty and interesting. Service fast and friendly so overall a good experience. I went to Mast after I had a good experience there this summer. Unfortunately this time was very different and I had a poor experience. The service was quite bad which suprised me. We had 3 different waitresses and they never introduced themselves or told us they were switching. They didnt ask how the food was or offer more water. At the end, we asked for the bill 3 times and it took them 45 minutes to get it to us...the waitresses kept walking past us and it was annoying that we didnt even know who was really serving us. I was about to get up to talk to the manager when the bill just arrived in that moment. I'm disappointed in this experience, especially since it was my birthday dinner. I'm not sure if I would go again. This is a more expensive restaurant than I am used to so I expected better quality service. Service was pretty slow - seated right away, but it took a while to get our drinks. Food is overpriced as well. Took the time to make a reservation, as well as update the reservation as another friend was going to join us. Arrive on time, greeted and seated quickly, and then sit...and sit...and sit. Finally greeted by our server who explained that he had 2 other tables ahead of us, and he'd get us menus shortly. 5 minutes or so goes by, we're brought the menus and immediately given the specials (which he did from memory, and was very thorough) and then asked about drinks. Got 4 of the 5 drinks about 5 minutes later, explained that the 5th was coming (it finally made it), and was told that he'd try to get us some bread. Huh? Got the bread about 15 minutes later, couple of beers were already empty, ordered another round, ordered food, and then proceeded to wait again. Overall, just a shitshow. Friendly service, but poor. Decent food, but severely overpriced. Nice environment, but I don't need to spend 90 minutes to eat a quick meal. I can see why the Yelp reviews are mixed. If you go on a weeknight where it may be slower you may fair better, but $20 for a soggy medium pizza and $24 for 8 ravioli isn't worth it. The overpriced menu had clearly not been updated in 20 years or more. Very average presentation, not much flavor. Stale bread. Not great service. Average across the board, particularly the food. Service was fine. Slow service. Chewy meatballs. Very good Caesar salad. Tough chicken. Overall, look elsewhere. I've eaten at Mast several times and have never been disappointed. The home made pasta and sauce dishes are very flavorful, and their chicken parm is excellent. The service is friendly and fast. A (not so) hidden gem. Loud party in the bar, we asked for a table away from the noise. We had high expectations of the official Neopolitan pizza, but it was nothing special. I am not planning to return. Chicken Parm was barely passable, bland, lacking. Pretty average food and service. Good place in a pinch. Service was awful. They barely acknowledged us. Food was ok.
Good location, great food and beer, especially pizza (just like a real italian pizza). Definitely you have to try it! You can always get a table but that’s probably a bad indication. Pizza wasn’t great — soggy and vegetables weren’t sliced.. the crust is good if it wasn’t so soggy in the middle. Also no red sauce, which the description did not indicate! Calamari was sub par and the lighting was a bit rough. Service was good and the martini was good. They also have a cool space with couches downstairs that might be nice for a function. Overpriced, not the best service. Food was tasty though. Too expensive for what it was. Average Italian with no particular redeeming or unique qualities. Someone smart should set up across the street and sell better food for half as much. The service was partly lousy (vanishing hostess, our table took 20 minutes to get ready and hadn’t been cleaned properly, bar tender was visibly overwhelmed), but our waisted (despite being very rushed) was fine. Tomato sauce dishes were bland and tasted canned. The non-tomato dishes were lovely. When my waiter was apologising for the volcano chocolate cake being solid not liquid, he just sounded so defeated by the evening. Very poor service - entrees took one hour to arrive after ordering and our waiter didn’t help the situation by not managing expectations and offering to improve the experience. If you’re looking to eat somewhere before a show such as Hamilton, don’t go here. You’ll have 5 minutes to scarf your entree down with no time to enjoy the meal and maybe order dessert. Disappointed. Great food and service...the chef was fun and knowledgeable...he made up some great dishes! We went there specifically for the pizza and although they were not outright horrible they were not excellent by any means. The Margherita was way too wet and soggy. The so highly regarded San Marzano tomatoes tasted just as directly out of the tin, the mozzarella was not premium quality which can make or break a Margherita and in short was not the kind of pizza I was hopping for. It is true though, that the Margherita tasted very similar to one I tried once in a back alley in Napoli form a street vendor with an oven-cart and served on a piece of newspaper. And the Biancaneves, oh well: tasteless prosciutto cotto, tasteless ricotta and tasteless mozzarella, a sad sad pizza. 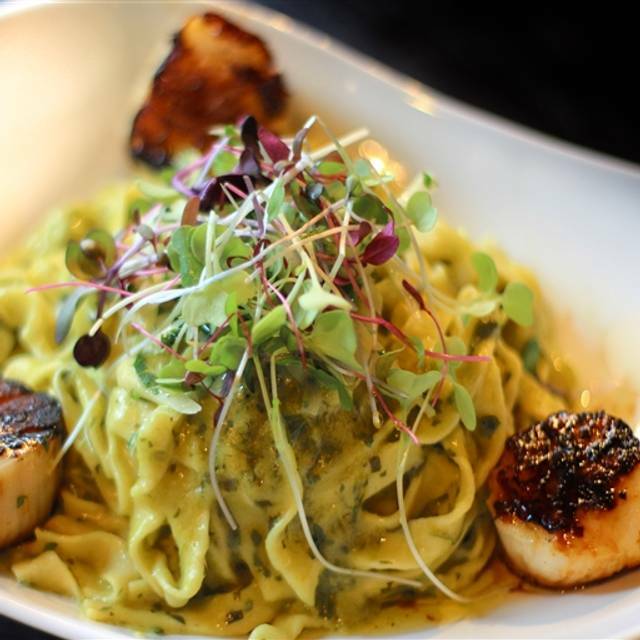 "Mast" is an absolute gem of a ristorante! THIS is real pizza! There is no other puzza like it in greater Boston ... and that is sating a lot!